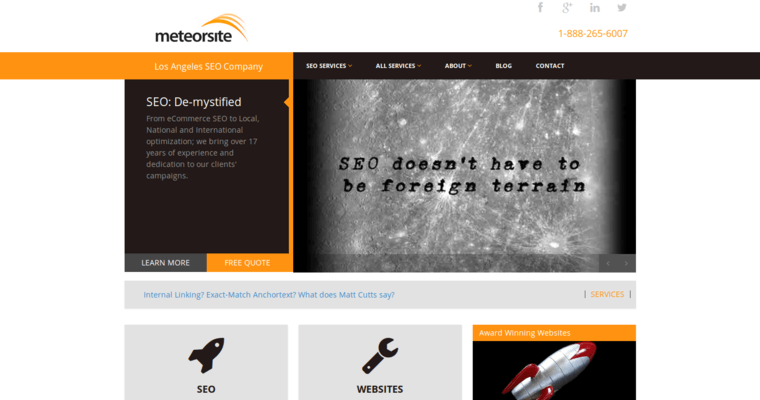 Meteorsite is being awarded for the superior work they do in the online marketing industry. Since 2002, they have transformed their clients' businesses and brands using innovative digital marketing strategies. 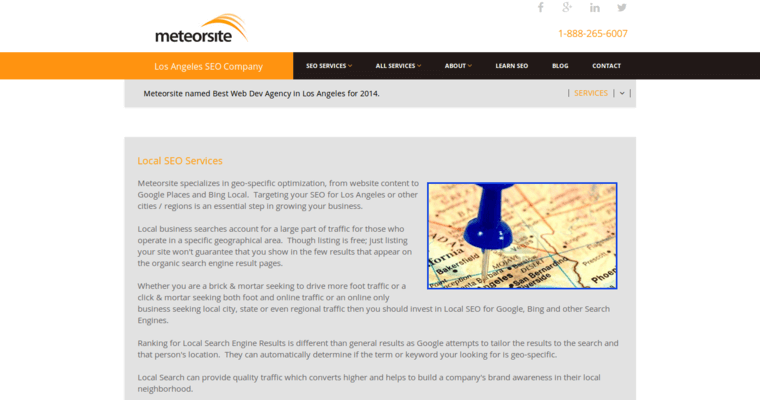 Right now, Meteorsite is being awarded for its work in the field of search engine optimization. For the most part, SEO is a collection of online tactics that aim to get websites listed near the top of search engine results for relevant queries. Based in Los Angeles, Meteorsite has access to some of the best creative and technical talent in the world. 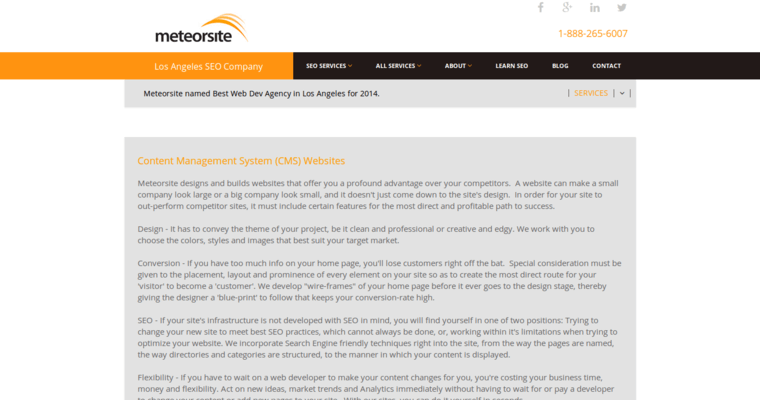 With such a high level of in-house expertise, Meteorsite serves local, regional, national, and international clients. Prospective clients can begin their journey with the agency by visiting their website and completing their online contact form. After an initial consultation, Meteorsite will have enough information to propose a custom SEO plan that achieves precisely defined goals.